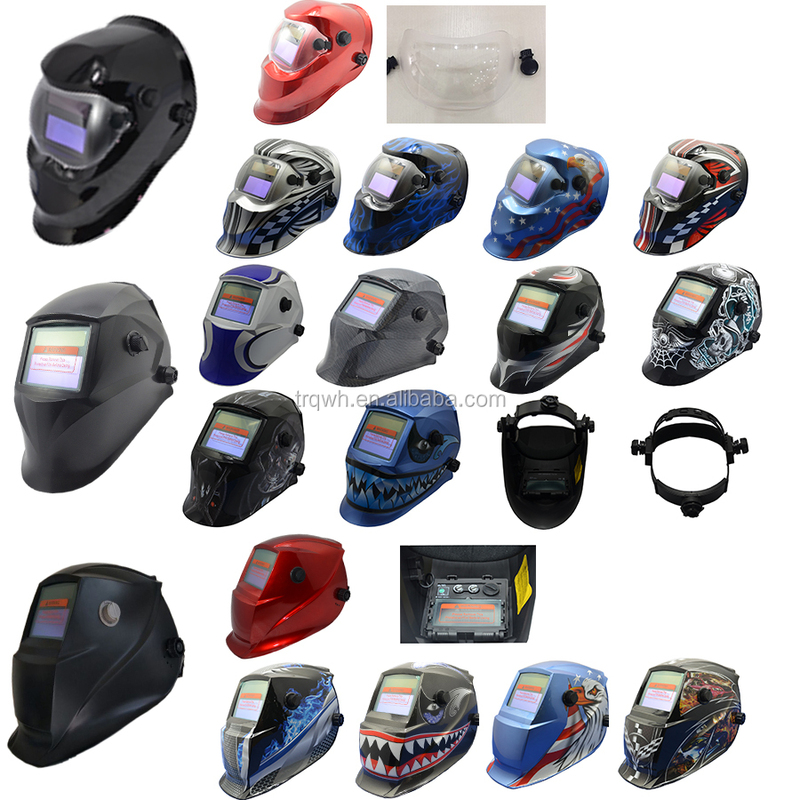 More models of welding helmet. 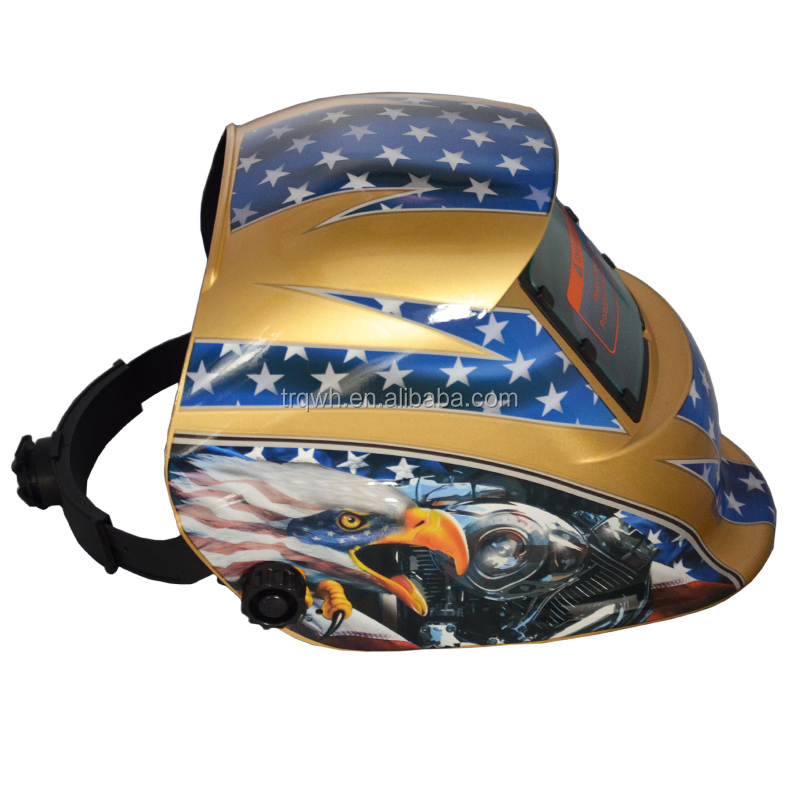 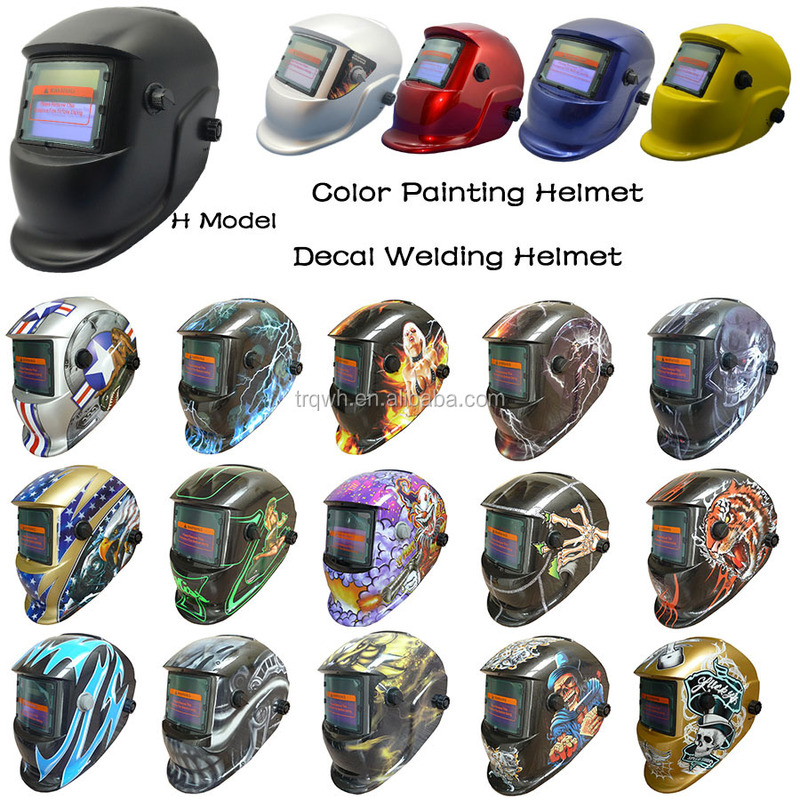 (more painting and decas welding helmet pls refer to the E-catalog). 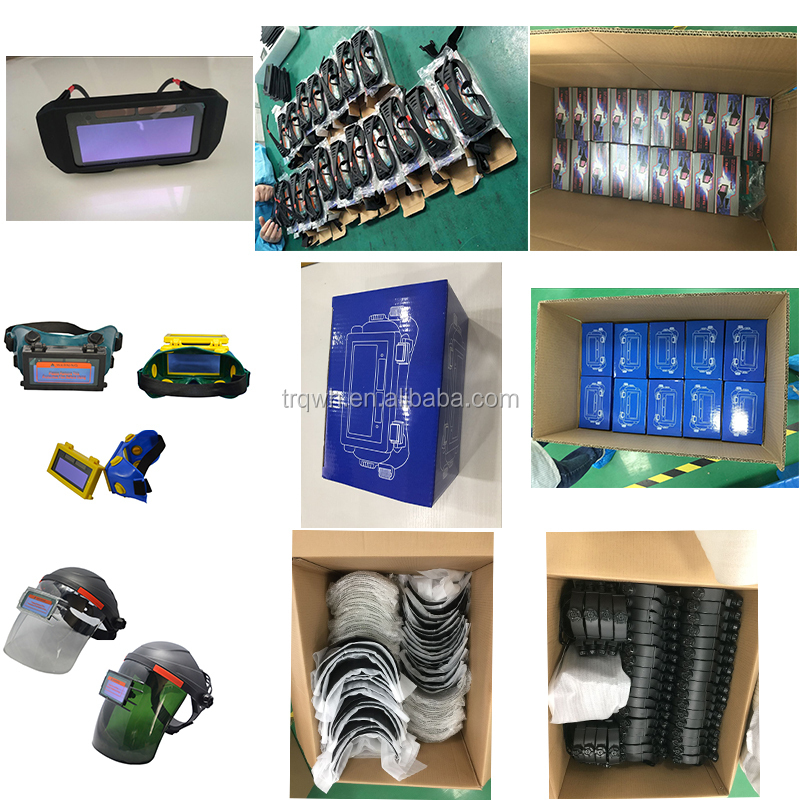 Packing details of welding helmet. 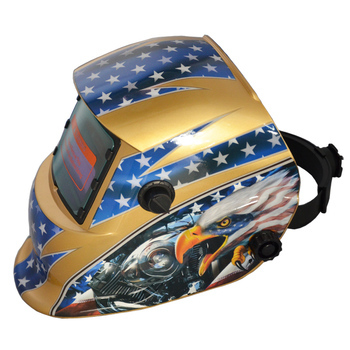 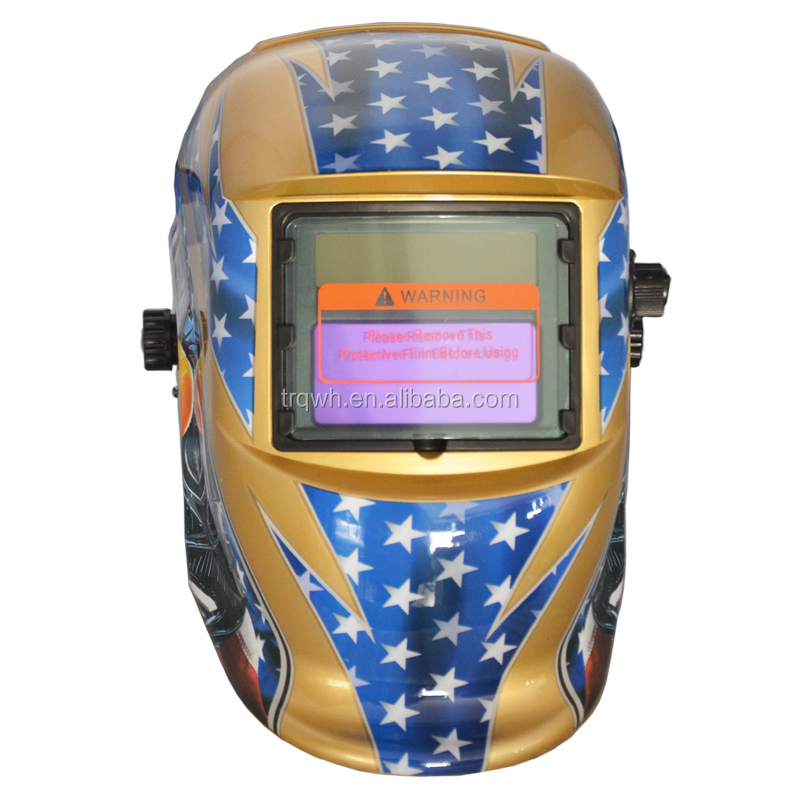 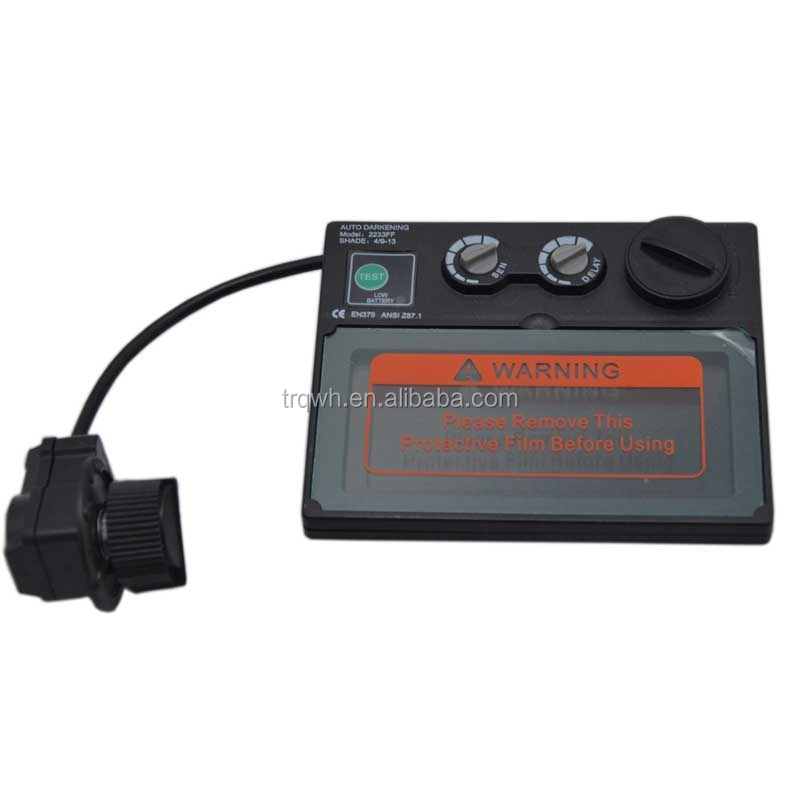 One box including: 1pcs welding helmet,1pcs instruction book. 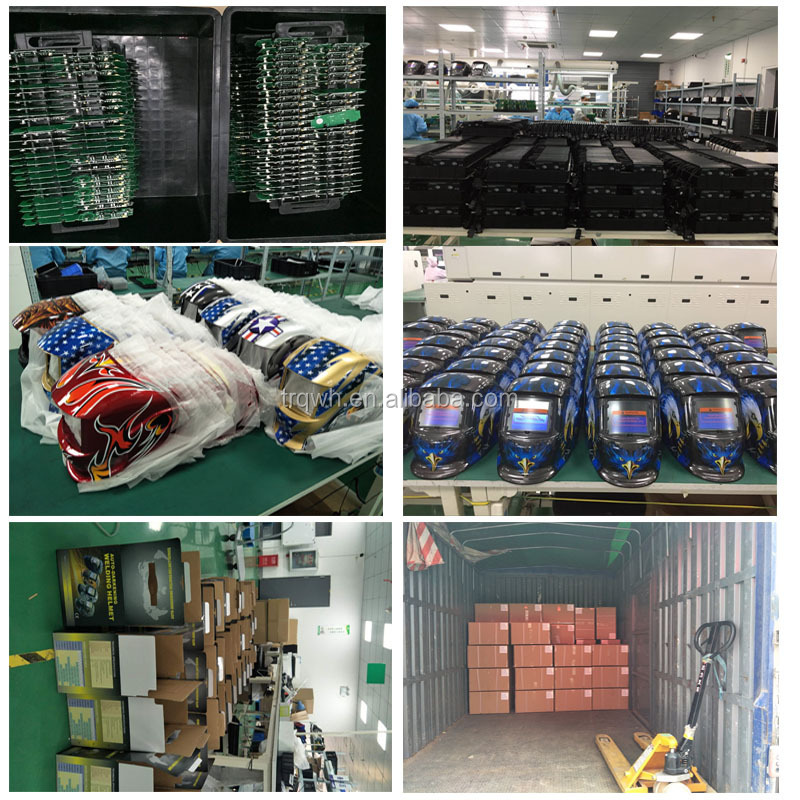 Packing details of welding goggles and glasses. 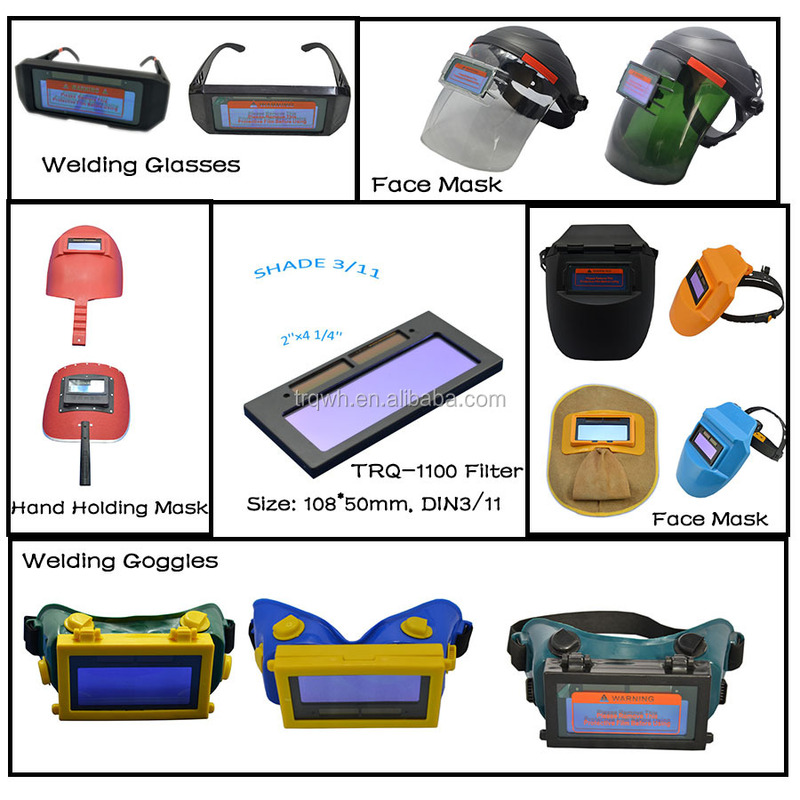 Welding glasses , 1pcs/color box, 100pcs/carton. 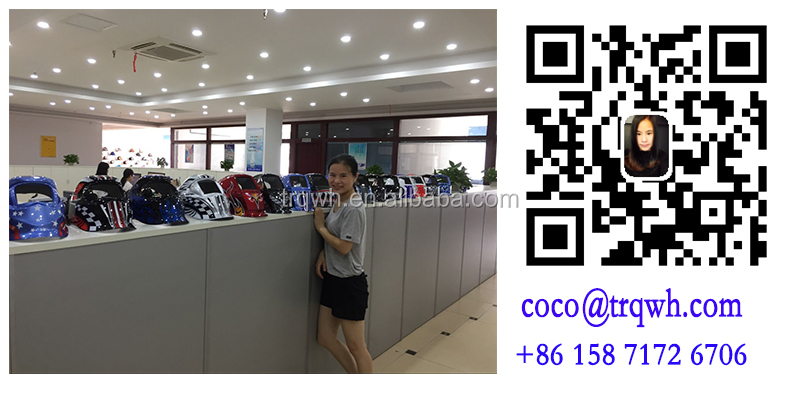 Weling face mask, Bulk Package, 50pcs/ carton. 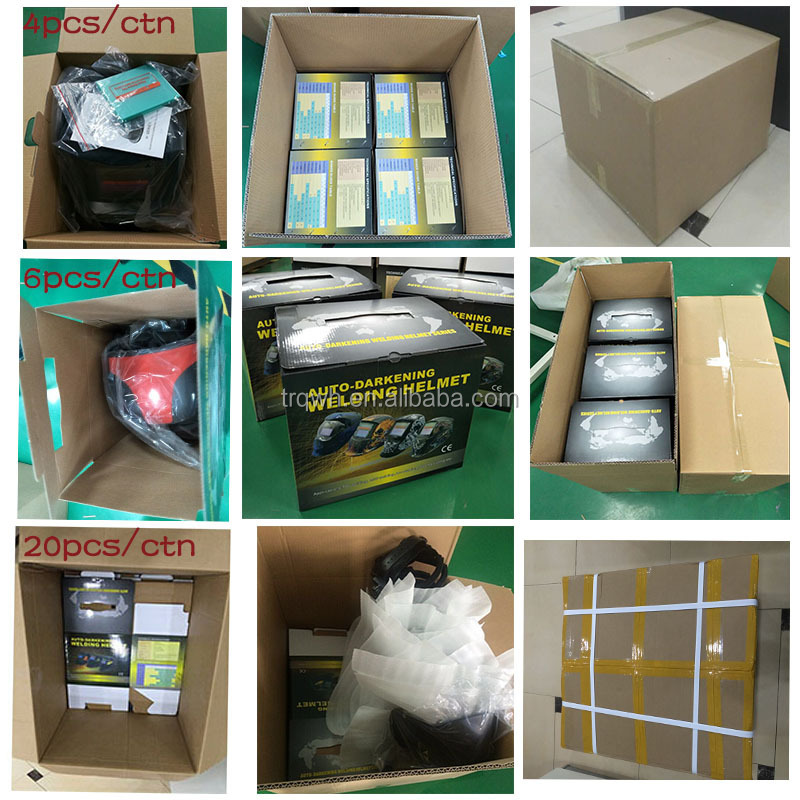 Packing details of solar darkening lens. 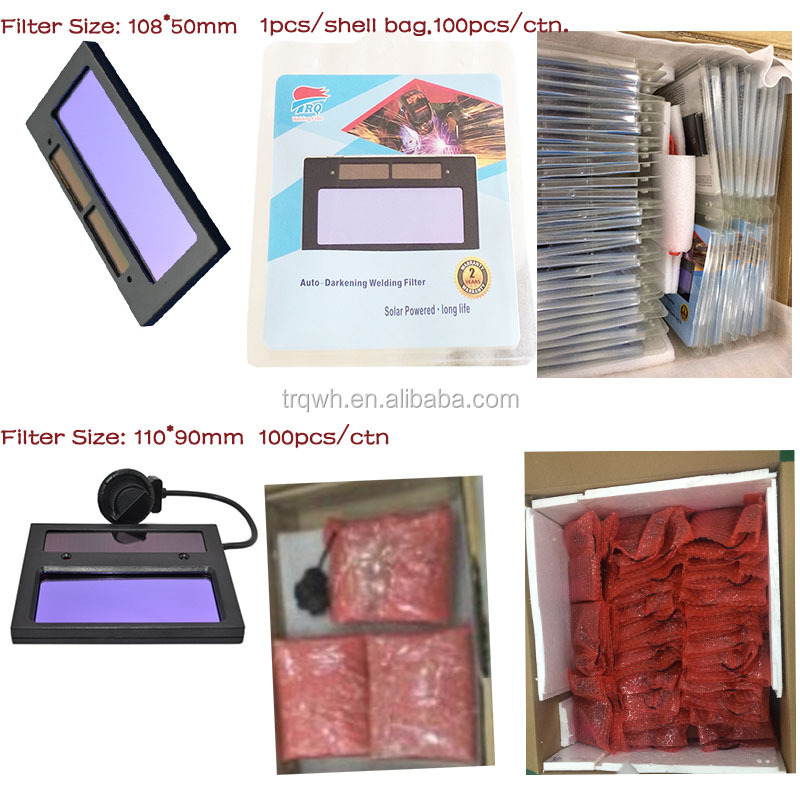 Filter Size: 108*50mm, 100pcs/ carton. 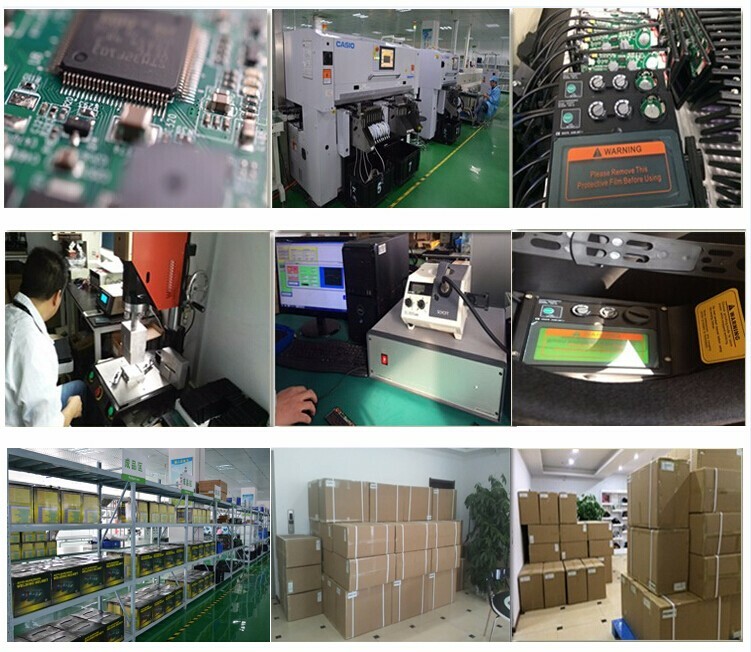 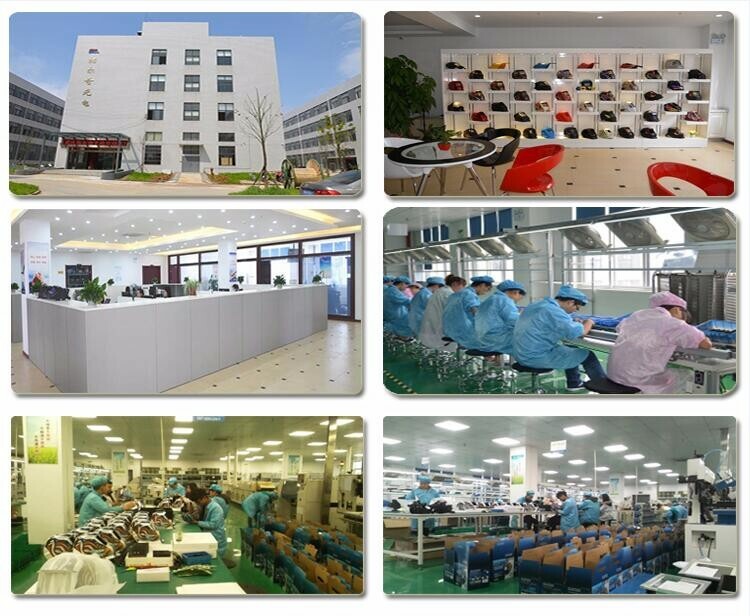 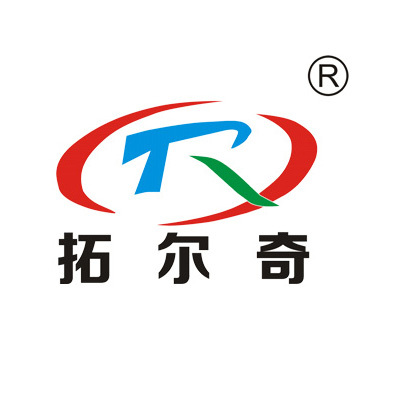 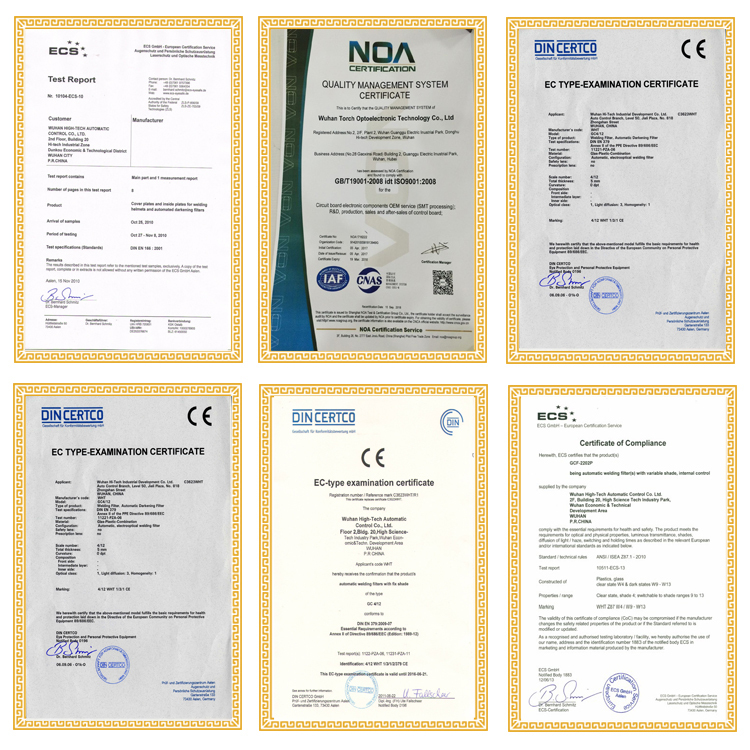 We are 24hours on line, Should you want konw more about our products, call me, le's talk more.